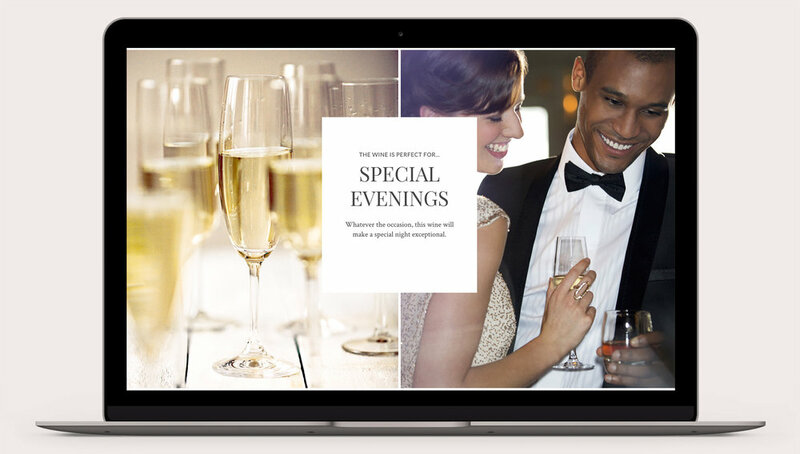 A responsive website design for an acclaimed winery. Their new digital environment speaks directly to their mission to make everyday moments extraordinary. Timeless typography pays homage to the brand's history while contemporary photo content and a sophisticated palette evoke elegance. "Occasions" are peppered throughout the site to pair life's moments with appropriate wines. A classic display typeface spotlights how to make your own moments with Mumm Napa's wines. 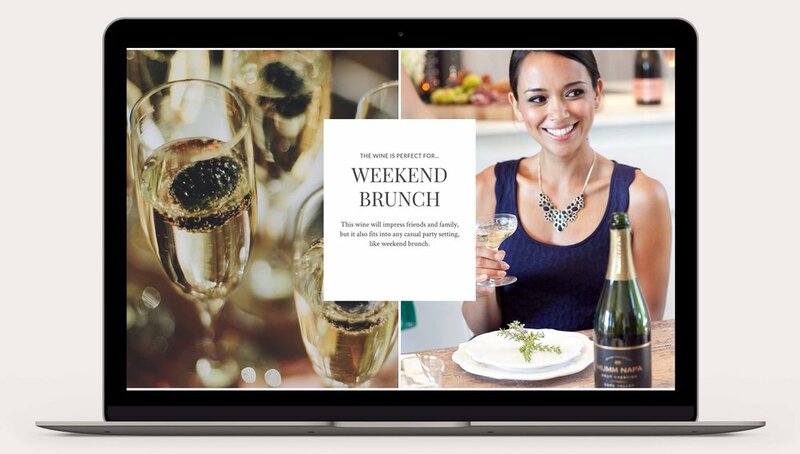 Promotional highlights encourage engagement and link content throughout e-commerce sections. Deep and textured background images, elegant neutral colors and sharp looking type all lend to a feeling of approachable, everyday luxury. Personable copywriting conveys a sense of character that enables Mumm Napa's audience to relate.